5-Aminolevulinic acid (5-ALA)-guided resection of gliomas in adults enables better differentiation between tumor and normal brain tissue, allowing a higher degree of resection, and improves patient outcomes. In recent years, several reports have emerged regarding the use of 5-ALA in other brain tumor entities, including pediatric brains tumors. Since gross total resection (GTR) of many brain tumors in children is crucial and the role of 5-ALA-guided resection of these tumors is not clear, we sought to perform a comprehensive literature review on this topic. A systematic literature review of EMBASE and MEDLINE/PubMed databases revealed 19 eligible publications encompassing 175 5-ALA-guided operations on pediatric brain tumors. To prevent bias, publications were revised independently by two authors. 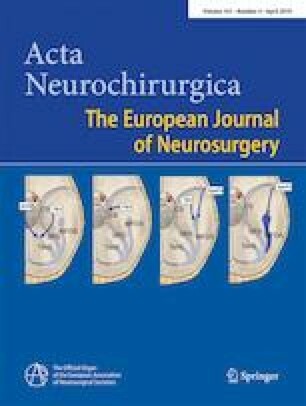 We found that 5-ALA-guided resection enabled the surgeons to identify the tumor more easily and was considered helpful mainly in cases of glioblastoma (GBM, 21/27, 78%), anaplastic ependymoma WHO grade III (10/14, 71%), and anaplastic astrocytoma (4/6, 67%). In contrast, cases of pilocytic astrocytomas (PAs) and medulloblastomas 5-ALA-guided surgery did not show consistent fluorescent signals and 5-ALA was considered helpful only in 12% and 22% of cases, respectively. Accumulation of fluorescent porphyrins seems to depend on WHO tumor grading. One important finding is that when 5-ALA-guided resections were considered helpful, the degree of resection was higher than is cases where it was not helpful. The rate of adverse events related to 5-ALA was negligible, especially new postoperative sequelae. 5-ALA could play a role in resection of pediatric brain tumors. However, further prospective clinical trials are needed. Walter Stummer has received consultant fees from Medac, Wedel, Germany. All other authors declare that they have no conflict of interest.